There is an app for everything and for everything there is an app. I know, it does sound like a cliched alliteration, but it is true! This is an era where we, as consumers are happy to do everything through an app and as service providers or business owners must offer an app to them. If you are on your way to build your first mobile app, you must understand that app development is not just about coding. In fact, coding is not even the most important part of the process. So now that you know where you are headed and are ready to get into the actual app development part, there is yet another question. What is the best way to build your app? Mobile app development is a process that can only be tackled in a logical, strategized, and logical manner. You may be a seasoned veteran or someone who is fairly new to the process, you are bound to have some misgivings about the entire process and multiple doubts are going to emerge right from the beginning. There are a million decisions that you are going to have to make, big and small ones. You would have to decide which platform you are going to develop for (android, iOS, Windows, or all), what kind of app are you going to develop (native, cross-platform, hybrid), and these only scratch the surface of all that you would have to think about. Decisions, Decisions, Decisions! Now, like many other questions, there is no right or wrong answer to this. There are three major ways in which you can go about building a mobile app (which we will be listing out), and different ways would suit different people and businesses. When you are building an app for yourself and you are not a tech whiz, this might be one of the best solutions for you. Though you may be an expert in the business niche that you are operating in, it is not really necessary that you have equal skill in the technology department. This means you might have to either employ an internal team who would develop the app for you and maintain it or you would have to hire an external agency to do the same. Making this choice would depend on one major factor – do you really need a long-term in-house team for app development? For a business that needs continuous work on mobile app development with multiple apps, it makes sense to have an in-house app development team that can take care of it. 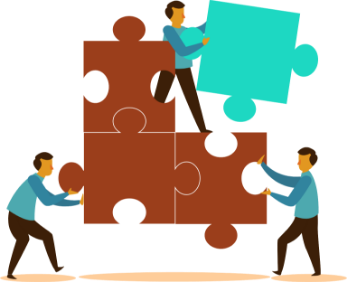 However, if your needs are one-time only, and further maintenance is only minimal, it makes sense to hire an external app development agency which can later on support you in the minimal maintenance you might need later on. Now, this might be best suited for an organization that has attained a certain scale has multiple apps under their belt already, or at least plan to develop numerous apps and would need an internal team to dedicatedly be involved in making these apps, maintaining them, updating them, and in general taking care of the entire project. Freelancer app developers or external agencies are a little cheaper as they would work on their own time, would be working from their own offices and most importantly, be engaged with you on a project basis, where they are free to work on other projects as well! The advantages of doing this are many, first, you would save up on infrastructural costs, and the freelancers or agencies would be cheaper for you in the long run. Secondly, these agencies have a wide area of expertise in helping various companies that fall in different niches, so they definitely have experience on their side. This is a huge advantage for you! As such we can’t really say that there is just the one right answer for you, it totally depends on what kind of requirement (long term/short term) you have and the budget limitations or time constraints you may have on you. If you do plan to hire an app development agency, however, we do have some sound advice for you. Coding comes into play when you are planning to develop a native mobile app for yourself, right from scratch! In this method of app development, you would have to develop different apps for different platforms. This means you would have different apps for iOS, Android, Windows, etc. This kind of app development needs a certain expertise and knowledge about coding which in turn needs you to know some programming languages. 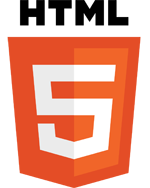 HTML5 has been quite successfully adopted by mobile and desktop browsers and offer quite robust cross-platform support. 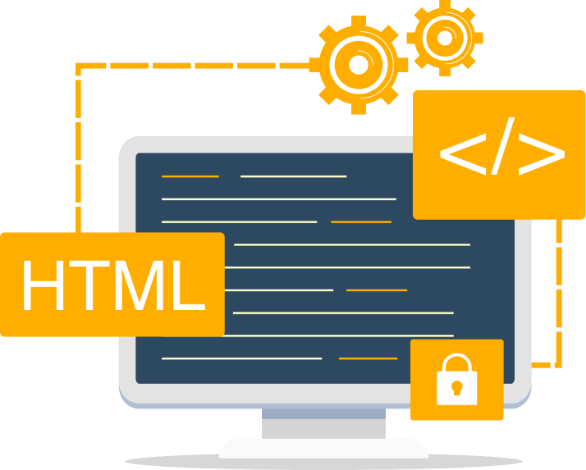 It is because of this robust cross-browser support and high responsiveness that any application that has been created in HTML5 works on all the devices quite smoothly without giving much grief. HTML5 can be used to develop games with canvas tag and supports both videos & audios. Above all, the biggest advantage of HTML5 is that it consists of easy and clean coding. A derivative of the programming language C, Objective – C is an object oriented general purpose programming language. Objective – C is the core programming language that was used by Apple for iOS and OS X development before Swift was developed. Swift might be on its way to replace Objective – C but Objective – C has still maintained its popularity among developers. The language seems to maintain its relevance even though new languages have entered the scenario because of two major reasons. The first reason is that there has been a lot of investment in the language in terms of the apps and secondly, the frameworks of the apps still largely rely on Objective – C even today. Choosing Objective – C, hence seems to be a good idea as it allows you to create all kinds of apps. Considered as the programming language of the future, Swift is the latest programming language to make their way into the Apple ecosystem and it is majorly because of its popularity in writing the code for Apple’s latest APIs, Cocoa and Cocoa Touch. The language was released for iOS, its supporting systems, and Linux. Today, Swift has emerged as the primary language to be used in the development of iOS and OS X, thus replacing Objective – C to an extent. Currently Swift is only available for iOS development, however, since it works on Linux and is open source, it can pretty much be used by anyone. Pronounced as C Plus Plus, it is a general purpose object oriented programming language with low level memory manipulation feature. Inheriting its syntax from C, C++ is an extension of the language. 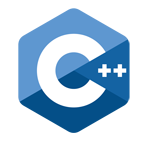 If you have worked with C, C++ is not going to be a big problem, as both the languages share almost all the features except that C++ is more comprehensive. C++ is a powerful resource and has found extensive application and use in various sectors ranging from the financial sector, to the business of manufacturing, to the banking sector, and many such more. It is for this reason that C++ has been in existence for a long time and has found its use even in mobile app development. C++ has been doing quite well in the mobile app development arena as it is does wonders in helping develop cross-platform mobile apps easily with its unified debugging experience and a powerful environment. The language is good for developing apps for Android, Windows, and iOS. C++ has potential well beyond mobile apps and can be used to create some of the strongest tools like Photoshop, Google Chrome. PayPal, Amazon and more. C++ can be used to develop operating systems, new programming language, graphics & designs, game development, app development, web browsers, development of compilers of programming languages, medical, mathematical & engineering applications, enterprise tools, and computation platforms. C# is for Microsoft, what Objective – C has been for Apple making it the most coveted language when it comes to developing mobile apps for Windows phones. Even though the Windows Phone platform could not make a lasting or impressive mark on the mobile app development panorama, the loyal Microsoft users, C# has proved to be the perfect language to help them create some of the strongest Windows Phone apps. Also known as C Sharp, the language is essentially a multi-paradigm programming language that is object and component oriented. The language has the potential to be applied in creation of server applications, web services, to games to mobile apps to name a few. C# is supported by Unity3D which makes it one of the best languages when it comes to a game app. C# is versatile in the uses it has found for itself in industries other than mobile app development including business and productivity tools, enterprise, utilities, education & reference, games etc. C# has found its applications in developing software including AutoCAD, Office 365, Visual Studio, and Share Point. One of the most popular and preferred languages among android app developers, Java is the most searched language on the search engines all over the world for the current year. 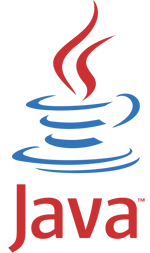 This object oriented programming language which was developed at Sun Microsystems is now owned by Oracle and can be run in two different ways – in a browser window or in a virtual machine without a browser. It is this flexibility that is of great use while re-using the code or while updating the software. Java might not be of much use when you are developing iOS development, but is of special value and convenience while developing cross-platform apps. Java may be used quite smoothly to develop android apps, server apps, web apps, embedded space, big data technology, scientific apps, websites, and Games. Some of the most popular applications of Java include ThinkFree cloud office, NASA world wind, Blu-Ray Disc Association, and Ultra Mixer, but Android Operating System is probably the most important application. A high-level programming language, Python has found its use in web development, app development, creating desktop GUIs, analyzing and computing scientific and numeric data, and for software development. As the language has numerous applications in real life, Python is currently the most taught language at school, and even college level. Python as a language is beautiful, explicit, simple, sometimes complex but definitely not complicated, and thoroughly readable. 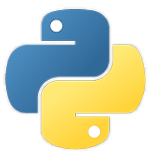 As it is an easy to read and easy to learn language, Python should be on your must-learn list. The language has the potential to be used in developing android and desktop apps from scratch. Applications like Dropbox, Calibre, YouTube, Instagram, Reddit, BitTorrent, OpenStack, Quora, Spotify, and so many more have been created in Python. If this doesn’t make you sit up and take notice, we don’t know what will. To make matters even more convenient, the language is one of the easiest languages and learning it is not really that big of a hassle. Hypertext Preprocessor or PHP is a server-side scripting open source language that was developed in the year 1995 for websites. Today, however, the language has found its use more in general purpose development today. PHP is used for server-side scripting, command line scripting, and for coding applications. Primarily a coding language, PHP is used to create dynamic websites, however it can also be used to develop android and iOS apps. PHP as a language can help you create dynamic websites, web applications, and all types of mobile apps as well. PHP is the most used programming language and is supported and used by around 80% of the developers. Some of the biggest websites like Facebook, Wikipedia, Yahoo, Tumblr, Flickr, and many more. Apart from apps, PHP can be used to develop e-commerce websites, create GUI, content management systems, create PDFs, code project management tools, create Facebook apps, develop dynamic websites, and more. Not only does this method of app development require knowledge of programming and coding, but since you have to develop separate apps for different platforms, it means that you would have to invest that much more time and money in building all these apps for your business. 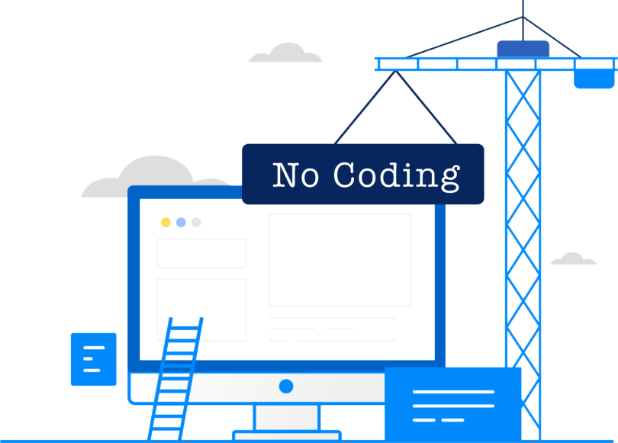 If, however, you do not want to wait for months, maybe years, or spend thousands of dollars on your mobile app development, the best way to go forth is build your app in the no-coding way! When you choose a no coding app building platform to build your app, you do not have to spend hours of your productive time in coding. All you need to do is choose from the numerous features we offer and drag and drop the features that you like to get an app that not only looks great but also performs exceptionally well. So, what’s stopping you from building your free app? Get Started now! Like we said earlier, there really isn’t one particular way which is a one size fits all solution. Like everything else, there are pros and cons to everything and each of these methods have their own strengths and weaknesses. Choosing the right way to go ahead is in fact a series of small decisions and depends heavily on your situation, limitations, and of course your exact requirements. If no coding is your way to go, then it is time you get started building your own app with Appy Pie!